(?) Post married Lucille Spohnholz, daughter of Ludwig Ferdinand Emil Spohnholz and Emma Alvine Borth. Howard Acton married Clara Hoyer. Married Name Her married name was Acton. Clara Hoyer married Howard Acton. William Slaney married Myrtle (?). Married Name Her married name was Slaney. Myrtle (?) married William Slaney. Lyle Slaney was the son of William Slaney and Myrtle (?). Lyle Slaney died before 2013. George Slaney was the son of William Slaney and Myrtle (?). George Slaney died before 2013. Marcella Slaney was the daughter of William Slaney and Myrtle (?). Marcella Slaney died before 2013. Ruel Mundth married Leona Kannenberg. Married Name Her married name was Mundth. Leona Kannenberg married Ruel Mundth. Name Variation Emilia C. Born was also known as Emelia. Name Variation Emilia C. Born was also known as Mickey. Married Name 9 June 1939 As of 9 June 1939,her married name was Huebing. Emilia C. Born was born on 30 July 1916. She married Merriwell E. Huebing, son of Edmund Henry Huebing and Bessie Rose, on 9 June 1939. Emilia C. Born died on 1 September 2011 at age 95 Emilia C. "Mickey" Huebing, age 95, of Reedsburg, died on Thursday, September 1, 2011 at the Reedsburg Area Senior Life Center. She was born on July 30, 1916 in Abelman, the daughter of Gustav and Amelia (Kopf) Born. Emilia was a 1934 graduate of Reedsburg High School. She was a graduate of the Sauk County Normal School in 1936 and the University of Wisconsin - Platteville. On June 9, 1939, she was married to Merriwell E. Huebing Sr. Emilia taught for 26 years, the last 19 she taught first grade in Lake Delton until her retirement in 1979. She enjoyed sewing, bow hunting, archery shoots, square dancing and volunteering at both the Sauk County Health Care Center and the Edward Snyder Nursing Home. She was a faithful and active member of the United Methodist Church. Survivors include two sons: Merriwell "Butch" (Mary) Huebing Jr., of Oxford, Florida and Gary (Kathy) Huebing, of Baraboo; five grandchildren; ten great grandchildren; four great-great grandchildren; other relatives and friends. She was preceded in death by her husband, Merriwell, on April 3, 2009; her daughter: Rosemary Gilson; two grandsons: Mark Gilson and Todd Huebing; her parents; her stepfather: Albin Malmquist and two infant brothers. Funeral services will be conducted at 11:00 A.M. on Tuesday, September 6, 2011 at the United Methodist Church in Reedsburg with Pastor Marvin Singh officiating. Interment will be in Greenwood Cemetery. The family will receive friends from 5:00 P.M. to 7:00 P.M. on Monday at the Hoof Funeral Home in Reedsburg. In lieu of flowers, memorials to the United Methodist Church would be appreciated. The Hoof Funeral Home is serving the family. Emilia C. Born graduated in 1934 at Reedsburg High School, Reedsburg, Sauk, Wisconsin. Name Variation Clara M. Nachtigal was also known as Tina. Married Name 24 June 1950 As of 24 June 1950,her married name was Westedt. Clara M. Nachtigal was born on 27 February 1930. She was the daughter of George Nachtigal and Mabel Palmer. Clara M. Nachtigal married Vern R. Westedt, son of Henry Carl Westedt and Helena Meyer, on 24 June 1950. Clara M. Nachtigal died on 5 November 2015 at age 85 Clara M. "Tina" Westedt, age 85, of Reedsburg, died on Thursday, November 5, 2015 in the Sauk County Health Care Center. She was born on February 27, 1930 in the Town of LaValle, Sauk County, the daughter of George and Mabel (Palmer) Nachtigal. Tina was a 1949 graduate of Reedsburg High School. On June 24, 1950, she was married to Vern R. Westedt. She had worked at the Reedsburg Memorial Hospital for over thirty years. Tina enjoyed playing softball, golf, baking and gardening as well as spending time with her family. She was a member of St. Peter's Lutheran Church. 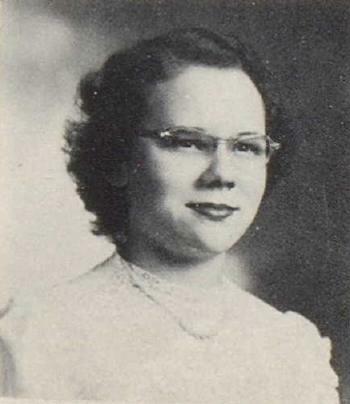 Survivors include her two sons: Douglas (Patricia) Westedt, of LaValle and David (Dana) Westedt, of Reedsburg; eight grandchildren; nine great-grandchildren; one brother: Arthur (Ramona) Nachtigal, of Reedsburg; two sisters: Lena Steinmetz, of Illinois and Thelma Hartje, of LaValle; nieces and nephews; other relatives and friends. She was preceded in death by her husband, Vern, on June 29, 2011; three brothers: Kenneth, William and Clyde Nachtigal; and three sisters: Bernice Schultz, Vivian Ritzer and Gladys Ziech. Funeral services will be conducted at 11:00 A.M. on Monday, November 9, 2015 at St. Peter's Ev. Lutheran Church in Reedsburg with Pastor Tim Anderson officiating. Interment will be in St. Peter's Cemetery. There will be a visitation from 2:00 P.M. to 4:00 P.M. on Sunday at the Hoof Funeral Home in Reedsburg and after 10:00 A.M. on Monday at the church. In lieu of flowers, memorials to St. Peter's Lutheran Church or the Sauk County Health Care Center Gazebo Fund would be appreciated. The Hoof Funeral Home is serving the family. Clara M. Nachtigal graduated in 1949 at Reedsburg High School, Reedsburg, Sauk, Wisconsin. Name Variation Elderene D. Halvensleben was also known as Ellie. Married Name 30 June 1954 As of 30 June 1954,her married name was Hasz. Elderene D. Halvensleben was born on 13 December 1932. She was the daughter of Ernest Halvensleben and Ella Lichte. 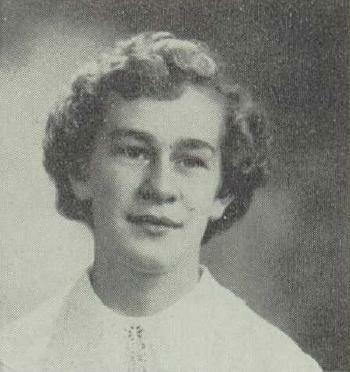 Elderene D. Halvensleben married Vernon Hasz on 30 June 1954. Elderene D. Halvensleben died on 8 June 2011 at age 78 Elderene D. Hasz, age 78, a lifetime resident of Reedsburg, died on Wednesday, June 8, 2011 at the Reedsburg Area Senior Life Center after a short illness. She was born on December 13, 1932, the daughter of Ernest and Ella (Lichte) Halvensleben and was raised on the family farm in the beautiful hills of Winfield Township. She graduated from Reedsburg High School in 1950 and attended Sauk County Normal School graduating in 1952. She received her Bachelor of Science in Elementary Education from UW-Platteville in 1967. Elderene was married to Vernon Hasz on June 30, 1954. She taught 36 years in the Reedsburg area at Hay Creek, Pleasant View, South School and lastly at Westside School. Twice she was honored with the State of Wisconsin Department of Public Instruction District Teacher of the Year Award. She proudly participated in the Sauk County Retired Teachers Association where she maintained her professional relationships. Elderene is loved and will be missed by her children: Jim (Sue) Hasz, of Appleton; Sharon (Rick) Gale, of Germantown and LuAnn (Tim) Peterson, of Portage; brothers: Harold (Virginia) Halvensleben, of Janesville; Robert (Gloria) Halvensleben, of Reedsburg; Gary (Sally) Halvensleben, of Mosinee and Ronald (Sue) Halvensleben, of Reedsburg; her sister: Reta (Ivan) Thies, of Cottage Grove; six grandchildren: Kayla Hasz, of Beloit; Chelsea Hasz, of Tempe, AZ; Sara Gale, of Milwaukee; Kristin Gale, of West Allis; David Peterson and Matthew Peterson, both of Portage; many beloved nieces and nephews; countless family and friends. She was preceded in death by her husband, Vernon; her parents: Ernest and Ella and a sister: LaVonna Olson. She was a lifelong member of St. Peter's Lutheran Church where she was active in the Altar Guild and Ladies Aid. She enthusiastically volunteered for the Reedsburg Historical Society where she loved to reenact the history of the one-room school. She also volunteered at the Reedsburg Area Medical Center and the Reedsburg Area Senior Life Center. Elderene had an unwavering faith, a passion for teaching and caring for others and a deep love of travel. She traveled extensively with family and friends throughout the world and shared her travels with many civic groups. Her family meant the world to her and she was blessed with a "valley of love" as people came to visit during her illness. The life and memory of Elderene Hasz will be celebrated by family and friends on Saturday, June 11, 2011 at 11:00 A.M. at ST. PETER'S EV. LUTHERAN CHURCH in Reedsburg. Visitation will be held Friday, June 10, 2011 from 4:00 to 8:00 P.M. at the HOOF FUNERAL HOME. Immediately following the funeral services, family and friends are invited to gather at St. Peter's Concordia Hall to continue the celebration of Elderene's life. Memorials may be made to St. Peter's Lutheran Church or the American Cancer Society. The Hoof Funeral Home is serving the family. Elderene D. Halvensleben graduated in 1950 at Reedsburg High School, Reedsburg, Sauk, Wisconsin. Vernon Hasz married Elderene D. Halvensleben, daughter of Ernest Halvensleben and Ella Lichte, on 30 June 1954. Name Variation Robert Halvensleben was also known as Bob. 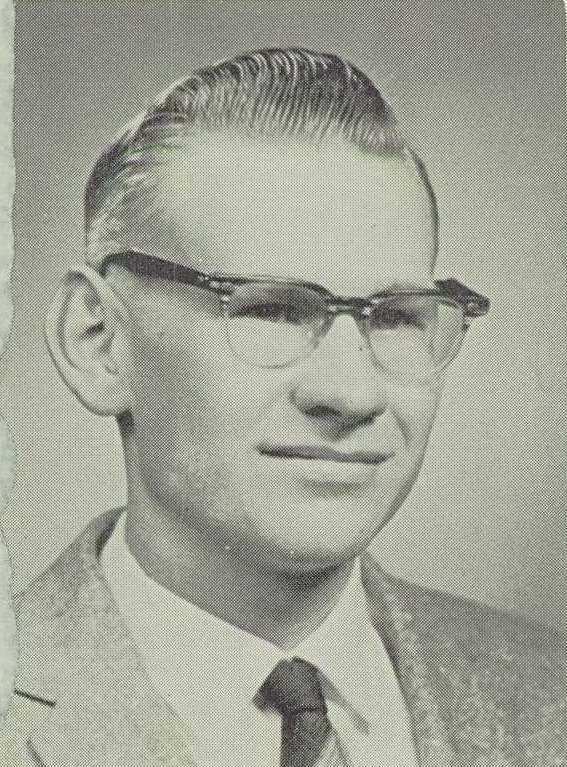 Robert Halvensleben was born circa 1942. 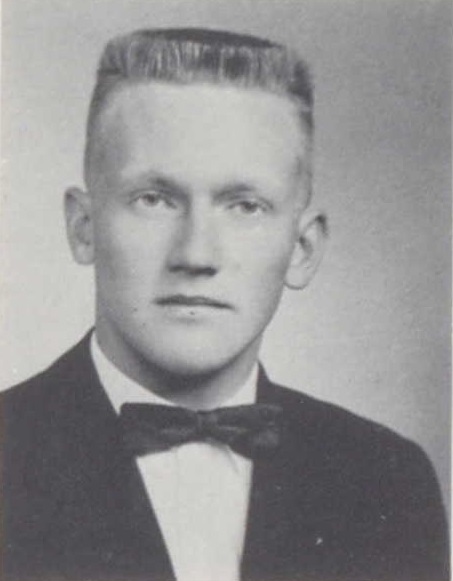 Robert Halvensleben graduated in 1960 at Webb High School, Reedsburg, Sauk, Wisconsin. Ivan Thies was born circa 1943. He was the son of Herbert W. Thies and Elsie M. Westerman. Ivan Thies graduated in 1961 at Webb High School, Reedsburg, Sauk, Wisconsin. Married Name 15 September 1972 As of 15 September 1972,her married name was Olson. 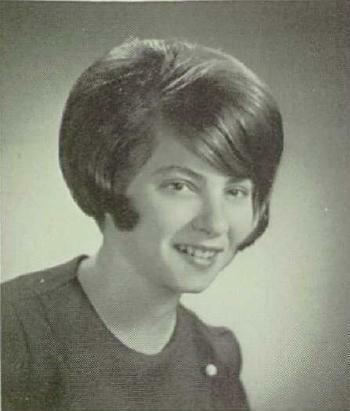 LaVonna Ellen Halvensleben was born on 13 June 1943 at Reedsburg, Sauk, Wisconsin. LaVonna Ellen Halvensleben married Hudson Clifford Olson on 15 September 1972 at Broward, Florida. LaVonna Ellen Halvensleben died in March 1983 at age 39. 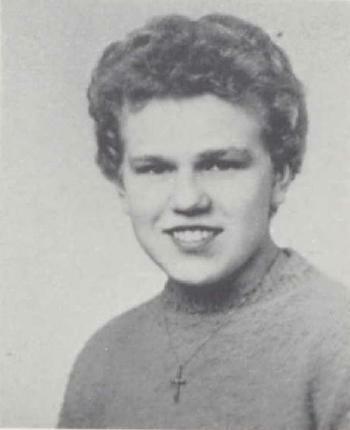 LaVonna Ellen Halvensleben graduated in 1961 at Webb High School, Reedsburg, Sauk, Wisconsin. Hudson Clifford Olson was born on 6 March 1941 at Madison, Dane, Wisconsin. He married LaVonna Ellen Halvensleben, daughter of Ernest Halvensleben and Ella Lichte, on 15 September 1972 at Broward, Florida. Hudson Clifford Olson died on 14 May 1990 at age 49. Married Name Her married name was Retzlaff. Esther Feltz married Wylder A. Retzlaff, son of Ernest Retzlaff and Jessie Maud Cole. Esther Feltz was born on 2 September 1910 at Baraboo, Sauk, Wisconsin. She died on 28 August 1999 at Reedsburg, Sauk, Wisconsin, at age 88. Phillip J. Retzlaff was born on 24 February 1935 at Wisconsin. He was the son of Wylder A. Retzlaff and Esther Feltz. Phillip J. Retzlaff died on 10 May 2011 at age 76 Phillip J. Retzlaff, age 76, of Reedsburg, died unexpectedly on Tuesday, May 10, 2011 in his home. He was born on February 24, 1935 in Reedsburg, the son of Wylder and Esther (Feltz) Retzlaff. On December 2, 1966, he was married to the former Bessie M. Lupe. The couple lived in Illinois for many years until moving to Reedsburg in 1984. He enjoyed gardening, working with his flowers, being in the out of doors and visiting with family and friends. Survivors include his wife, Bessie; his sister: Elsie Retzlaff, of Reedsburg; three brothers: Donald Retzlaff, of Baraboo; Duane Retzlaff and Gordon Retzlaff, both of Reedsburg; a niece: Ardith Porter, of Madison; other relatives and friends. He was preceded in death by his parents; his sister and brother-in-law: Lois and Art Moore and his nephew: Dale Moore. Graveside services will be conducted at 11:00 A.M. on Monday, May 16, 2011 at the Greenwood Cemetery in Reedsburg. The family will receive friends from 6:00 P.M. to 8:00 P.M. on Sunday at the Hoof Funeral Home in Reedsburg. The Hoof Funeral Home is serving the family. Otto Richert married Frieda Meyer. Married Name Her married name was Richert. Frieda Meyer married Otto Richert. Bonnie Jean Richert was born on 5 July 1951. She was the daughter of Melvin Richert. Bonnie Jean Richert died on 27 October 2000 at age 49. Bonnie Jean Richert graduated in 1969 at Webb High School, Reedsburg, Sauk, Wisconsin. Herbert Richert was the son of Otto Richert and Frieda Meyer. Herbert Richert died before 2010. Edward Richert was the son of Otto Richert and Frieda Meyer. Edward Richert died before 2010. Bonita Richert was the daughter of Otto Richert and Frieda Meyer. Bonita Richert married (?) Thompson. Bonita Richert died before 2010. (?) Thompson married Bonita Richert, daughter of Otto Richert and Frieda Meyer. Married Name Her married name was Ihde. Esther Richert was the daughter of Otto Richert and Frieda Meyer. Esther Richert married (?) Ihde. Esther Richert died before 2015. (?) Ihde married Esther Richert, daughter of Otto Richert and Frieda Meyer. Married Name Her married name was Lueck. Viola Richert was the daughter of Otto Richert and Frieda Meyer. Viola Richert married (?) Lueck. Viola Richert died before 2010.